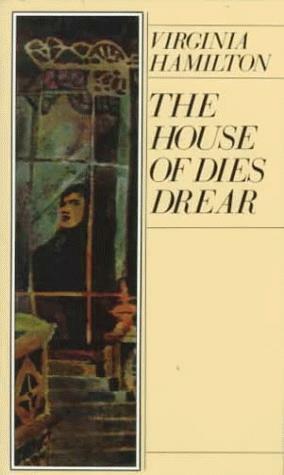 The House of Dies Drear (the 1969 Edgar Award Winner for Best Juvenile Mystery) is about thirteen-year-old Thomas Small, his parents, and his infant siblings, who move from North Carolina to Ohio to live in a house which was part of the Underground Railroad and belonged to an abolitionist named Dies Drear. Both the house and its unusual caretaker, Mr. Pluto, have a reputation around town as being haunted, evil, and even dangerous. Though his father assures him these rumors are false, Thomas isn't so sure. Mr. Pluto definitely seems sinister, and strange things are happening around the house that suggest the Smalls may never be welcome in their new home. I was under the impression that I had read The House of Dies Drear when I was in middle school, but after reading it this month and finding none of the details familiar, I am now convinced that the book I read as a kid may actually have been the sequel, The Mystery of Drear House. Whichever book I read back then, however, I enjoyed Virginia Hamilton's writing a lot more as an adult. When I was twelve, I found her prose dry and difficult-to-follow, and I can remember struggling to answer reading comprehension questions about the story. When it came time to do a project based on the book, I chose to make a diorama of a particular room in the house because that was the only thing about the story I felt certain I had understood. As an adult, though, I was neither bored nor bogged down by dry prose. I breezed through the book in a few hours and found it reasonably compelling. It is not necessarily a mystery in the traditional sense, with a series of clues and red herrings that eventually lead the reader to the resolution, but it has a definite mysterious tone that is still appealing to mystery readers. The historical elements of the book are also interesting, and they would definitely help to flesh out history lessons about the Underground Railroad. Thomas's feelings of personal connection to the escaped slaves who once passed through his home add a warmth and depth to the reader's knowledge of what slavery must have been like, and how it must have felt to escape to freedom under such dangerously secretive conditions. I questioned early in the book whether readers would realize right away that Thomas is black (I would not have, as a kid), but there are many scenes later in the book that make it quite clear, including a beautifully written passage about black churches. I like that Hamilton didn't describe Thomas's appearance, but I think if I were sharing this with kids, I'd want to make it clear that Thomas is black from the start so that his reflections about slavery are understood in the proper context. This was not my favorite book, overall, but there are some excellently written scenes and a good twist at the end that made it worth reading. At some point, I do want to read the sequel, if only to see if anything about it seems familiar, but it's not necessarily a priority. I own a copy of this book and would have no reservations about using it in our homeschool when we learn about slavery, even though I probably would not choose to read it again for pleasure. I love book reviews! I am tempted to read this book now despite of it being not your favorite. Keep on posting more book reviews.